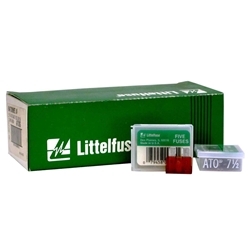 Littelfuse ATO 7.5 7.5amp Fast-Acting Automotive Blade Fuse Box of 100. The ATO Fuse was designed and patented by Littelfuse in 1976 and set the standard for automotive circuit protection. It features industry standard color coding to indicate amperage rating.